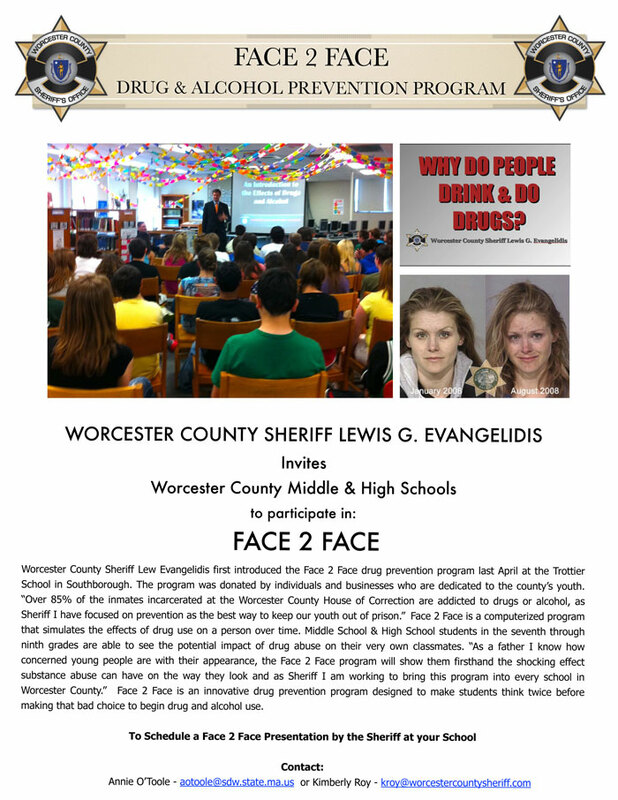 Face2Face is a computer program that the Sheriff is taking into schools to prevent teens from trying drugs by showing how drug use can alter their appearance within a few years. Utilizing cameras and software, Face2Face shows the effects of drug use on skin, teeth and hair over time. The “before and after” photos of students have an immediate and lasting impact on appearance-conscious adolescents. Teens see that drug use not only impacts health but also appearance.